BullGuard, a London-based security company, has released a VPN last year in order to protect their users from being tracked online and let them get more Internet freedom. The BullGuard VPN allows people to browse the web 100% anonymously, and it also helps them download and upload files securely. It’s a good tool for unblocking geo-restricted content and bypassing censorship. In an overcrowded VPN market, what makes you choose BullGuard VPN? How good is this VPN? Is it really worth it? In this BullGuard VPN review, we explore all aspects of this VPN, from its blazing speeds, affordable price to its bank-grade encryption and more. Take a look at this detailed below. Although BullGuard VPN is a new player in the market and is still undergoing development, its performance and security will not disappoint you much. This all-around advanced security solution comes from the multi-award winning consumer cybersecurity company, and it is combined with NordVPN, which is the most advanced VPN services in the world. BullGuard VPN uses NordVPN’s servers and is much faster than the average VPN. Currently BullGuard VPN offers fast servers in 16 countries including the U.S., Canada, U.K., Germany, Austria, The Netherlands, Belgium, France, Spain, Switzerland, Denmark, Norway, Sweden, Ireland, Singapore and Australia. The number of the server locations is not as large as NordVPN, but it’s enough to meet the needs of most users who looking for anonymous browsing. BullGuard VPN features a simplified user interface and quick connect functionality, enabling consumers to fly under the radar and surf the internet in stealth mode while retaining complete anonymity and privacy via military-grade encryption. With one subscription, it protects up to six devices simultaneously on all major platforms including Windows, Mac OS, Android, iOS (coming soon). For people who are suffering censorship where their data is intercepted, and content is blocked, BullGuard VPN will be a great helper. It changes your IP address and allows unlimited and unrestricted access to Google, Facebook, WhatsApp, YouTube and other websites from any global location. It provides the highest levels of privacy and protection to secure your data and protect your online activity from prying eyes. BullGuard VPN does not log what you’re doing online, or keep records of the websites you visit, ensuring you have complete online privacy and security. While connecting to BullGuard VPN, it encrypts your data with 256-bit AES encryption so your private searches, passwords, and other sensitive material cannot be read by others. The VPN also features with impressive feature such as the Auto-Connect VPN for Wi-Fi network which starts automatically when you connect to the public networks. On top of that, it covers all the key security features, including the OpenVPN protocol, AES-256 encryption, a kill switch and its own DNS servers. BullGuard VPN allows you to access the internet privately, away from the prying eyes of your Internet Service Provider, the government, and potential hackers. With its service, you can bypass region restrictions, access blocked sites or censored sites, enjoy secure P2P file sharing and even prevent price discrimination. BullGuard VPN is best-equipped to ensure that your information remains protected. Start now & Enjoy unrestricted Internet access to every corner of the globe! As you can see, the price of BullGuard VPN starts with $7.08/month with 100% money back guarantee. The longer subscription you choose, the better value it will be. 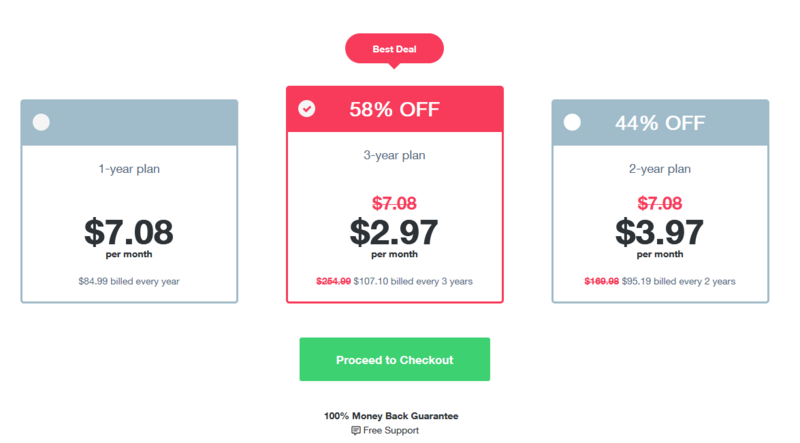 The best value plan is BullGuard VPN 3-Year Plan, which allows access to 6 devices and it only costs $107.10 every 3 years, which is equivalent to 2.97/month. BullGuard accepts most major payment methods, including all large credit cards and also PayPal. 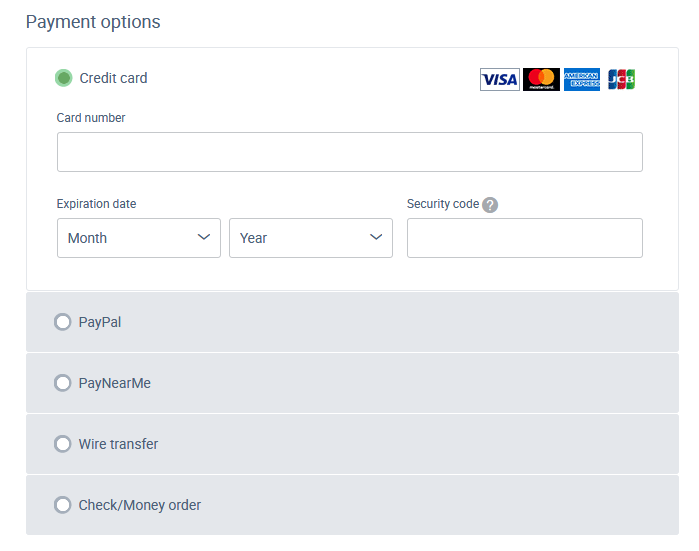 You also can pay by Wire Transfer, which is not supported by most other VPNs. BullGuard VPN also accepts Check/Money order, and PayNearMe which allows you to make a cash payment. So after submitting your order, you will receive a link to the PayNearMe website to complete your payment. You can pay with cash at your nearest 7-Eleven store using a PayNearMe card (mobile phone required) or a PayNearMe slip. BullGuard VPN safeguards your online privacy in a fast, seamless way – from your desktop or smartphones, wherever you go. Get complete online privacy and total Internet freedom at BullGuard VPN now! Using BullGuard VPN will give you an additional layer of security in all aspects. As we know public Wi-Fi is almost everywhere, in cafes, coffee shops, airports, schools and hotels, but these networks are often unsecured and exposed to hackers and snoopers. BullGuard VPN comes with an ‘Auto-Connect’ feature which is used to identify open Wi-Fi connections. It automatically starts the VPN to ensure you are protected even if the Wi-Fi network is insecure. With the VPN, you can keep all your data, video calls, search histories, and financial data private and stay safe on public networks always. BullGuard VPN also allows you to transfer or download files without worrying about someone watching (like your ISP). It uses top-of-the-line VPN protocols (along with 256-bit bank-level encryption keys) to make sure all your data travels securely across the web. Have you ever tried to access a certain website in another country and then received an error message stating that the website you are trying to access is blocked? Actually online censorship is implemented in various countries around the world, like China, Cuba, South Korean, Russia and more. If you need access to a free and open Internet, a VPN is needed. BullGuard VPN encrypts your Internet connection and allows you to change your IP address, which enables you to avoid any geographic blocks or restrictions being imposed. Thanks to its technology, you can get instant access to Google, Facebook, YouTube, Netflix, and all of your other favorite apps and content wherever you are. Users who share files and participate in torrenting often want to do so anonymously while ensuring their activity is encrypted and secured. BullGuard VPN allows you to unblock torrent file sharing safely without putting you and your online privacy at risk. It protects your torrent traffic, enabling you to download and share torrents worldwide with other users and to access the content securely. Those who torrent files and use peer-to-peer file sharing services frequently are strongly recommended keeping their activity private with BullGuard VPN. Some people may prefer online browsing on a laptop, while some enjoy browsing on their phone or tablet. Everyone of us may probably go from screen to screen every day, using various devices. It is important to get a VPN that can support all the devices we own. Fortunately BullGuard VPN supports all the major platforms including Windows, Mac, Android and iOS. However, at the time of writing, no browser extensions are available. VPN with browser extension will bring more convenience because you will have the ability to easily switch server locations directly in your browser, rather than having to navigate to the desktop VPN client. We hope BullGuard will add a browser extension in the near future. BullGuard VPN offers consistently fast speeds throughout their server network though it doesn’t provide a wide selection of servers. At the time of writing, it offers VPN servers only in 16 countries covering North-America, Europe, Asia and Australia. The countries include U.S., Canada, U.K., Germany, Austria, The Netherlands, Belgium, France, Spain, Switzerland, Denmark, Norway, Sweden, Ireland, Singapore and Australia. Does BullGuard VPN Keep Log? No. BullGuard VPN follows a strict no logging or tracking policy, which means it will never log what you’re doing online, or keep records of the websites you visit. The VPN provider takes user’s privacy seriously, so it doesn’t store connection time stamps, session information, used bandwidth, traffic logs, IP addresses or other communications data either. On its Terms of Service page, it clearly mentions that your activities using BullGuard VPN Services are provided by automated technical process, are not monitored, recorded, logged, stored or passed to any third party. So, wherever you are, you will get the peace of mind where no hacker can intercept your web activities. However, using BullGuard VPN services requires you to create a user account first, so you need to provide some basic information, such as a valid email address in case you need to retrieve a lost password one day. Yes. For anyone using location-specification specific activities, BullGuard VPN offers a very handy Kill Switch that will automatically kill whatever software or websites you were using in the event that your network connection is lost. That means even when you’ve lost your protection, you are still protected. A VPN Kill-Switch is a critical piece of your VPN security solution, and should be a top feature you look for in your search for the best VPN. Does BullGuard VPN Support Streaming and Torrenting? Yes. Finding the best VPN for torrenting can be challenging because so many VPNs leak IP addresses and/or DNS requests. BullGuard has its own server and keeps no records of your activity, making it a good choice for streaming and torrenting. With the service, no one would be able to track, trace, or look into what you do online. It works with all major streaming services, including Netflix, and allows you to download torrents (P2P) on its servers. You can connect up to 6 devices at the same time on a single subscription. No bandwidth limitations or traffic restrictions whatsoever. For users who just started dealing with VPNs for the very first time, customer support is essential to helping them find their way. It is a pity that BullGuard provides their best customer service only over email. If you are hoping to talk to a BullGuard agent live right now, on the phone or via live chat, this might be disappointing. But at least you know there should be a person on the other end helping you whenever you need. The team promise they will get back to you within 24 hours. With censorship growing along with the number of data breaches and identity theft incidents, security and privacy are more important than ever before. BullGuard includes a combination of online privacy, provided by VPNs, strong antivirus, firewalls, password safety solutions and more, making it a good choice for people to gain complete online privacy and total Internet freedom. Although BullGuard VPN is a relatively new VPN provider and still need some improvement, it covers all the basic security features that a good VPN should have. No bandwidth limitations. No data caps. The VPN also utilizes the strongest encryption method and VPN Kill Switch to ensure all your internet traffic being protected whenever you are. What’s more, BullGuard VPN does not log any of your internet traffic or watch on what you do online, as it follows a strict no logging policy. Therefore, you can rest assured that your online data is being sent over the internet in an absolutely secure manner. BullGuard VPN also helps unblock American Netflix, Hulu, Amazon Prime Video, BBC iPlayer and other geo-restricted streaming channels. One, two and three-year BullGuard VPN service plans are offered at $84.99, $169.99 and $254.99, respectively, but currently visitors on our site can have a special offer. Get up to 58% off the regular price, that makes the monthly price for as low as $2.97/month. LIMITED-TIME ONLY! Achieve the best online experience in safety with BullGuard VPN!